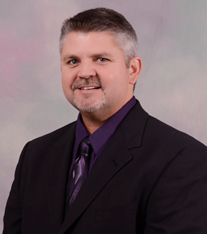 As a Farm Bureau Insurance agent in the Macomb area, I can provide for all of your insurance needs. Farm Bureau Insurance has always had a great reputation for high quality products and service. They believe in honest service, fair treatment, taking care of customers, and helping the community. For this reason, I have been a client of Farm Bureau for more than 21 years. As your agent, I will personally pass along these same benefits to you and form a long lasting relationship. I help clients design programs to fit their insurance needs. To help them provide a safety net for their loved ones during any difficult time of need. I listen to my clients' concerns, explore their insurance needs and provide for those needs, explaining their coverages and answering their questions before and after they make a purchase. The plans and policies we will put in force are the ones that will absolutely make sense to you. Contact us today. Your family and future are always safe with us. Farm Bureau Life has been named one of the top 50 life insurers in America, based on strength, stability, and outstanding financial performance. We protect more square miles of Michigan than any other company. We support Michigan through community programs that promote scholarship, sportsmanship, health, and citizenship.